The Champagne region, like that of Burgundy, has many producers with double-barreled names. 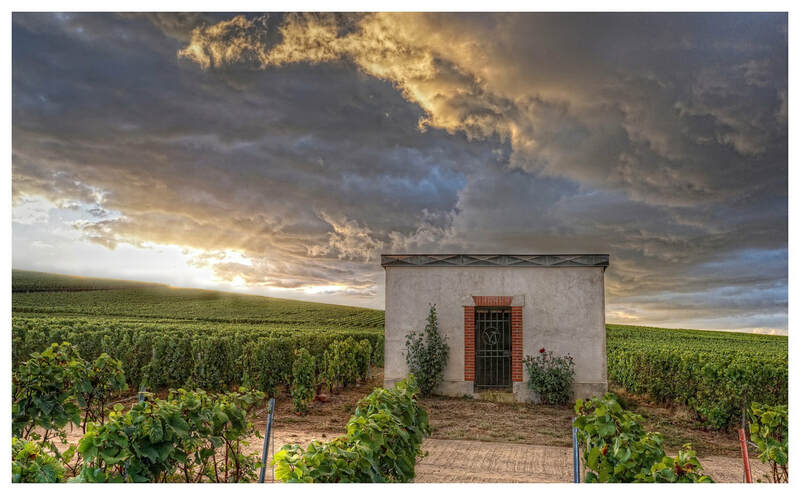 These names usually occur when the offspring of one producer marries another, creating a new identity for certain parcels of vines passed on by the parents. Voirin-Jumel, a récoltant manipulant located in the grand cru village Cramant, is an example of this. Jean Voirin, who owned some vines and sold all of his grapes in bulk, decided to begin bottling his own Champagne at the end of World War II. 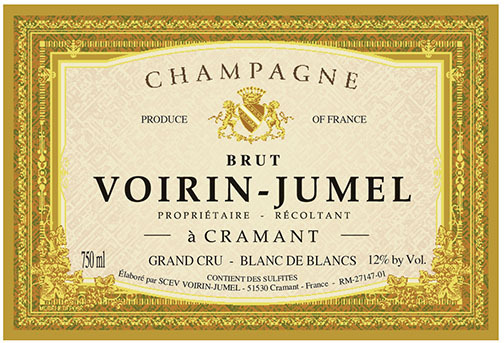 The Jumel family started producing Champagne around the same time. René Jumel had a transport business and his wife's family had some vines that they cultivated. 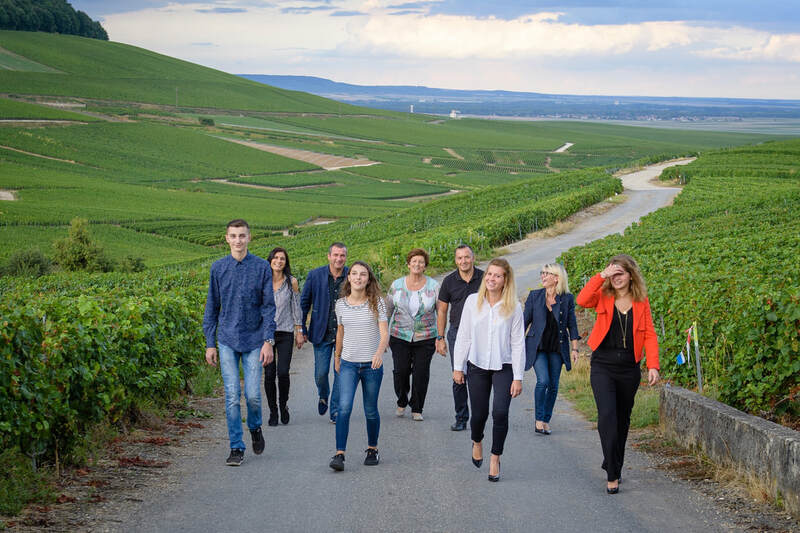 As the Champagne market grew, René began selling some of his trucks and buying vineyards around the Côte des Blancs in which his wife, Paulette Richomme, worked and oversaw. Between 1950 and 1970, all of the grapes were sold in bulk. In the early seventies, Francoise Jumel (the daughter of Paulette and René) began bottling champagne with her husband Gilles Voirin under the name Voirin-Jumel. That year they sold nearly 10,000 bottles. In the 1990s, Francoise's children, Patrick and Alice, along with Patrick's wife Valerie, began running the domaine. 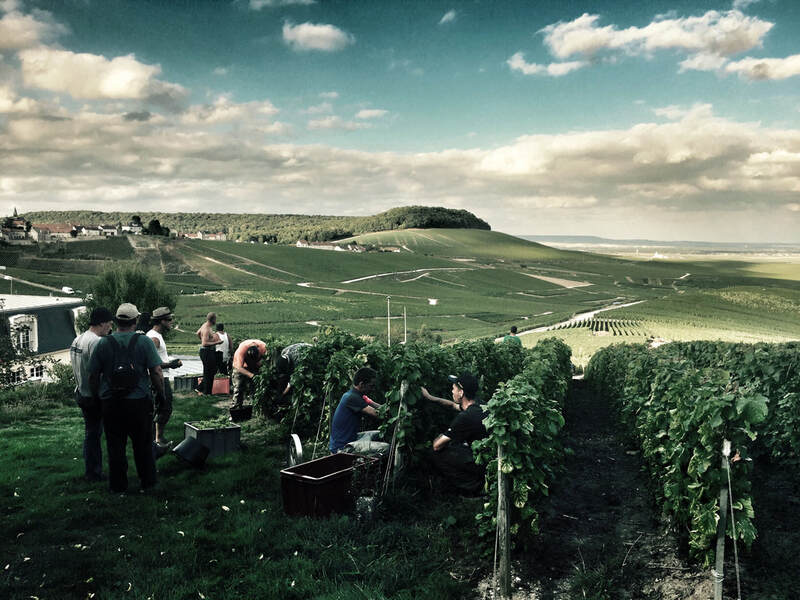 Today they own 11 hectares of vines in 11 different villages (broken down to approximately 10% Cramant, 20% Chouilly, 10% Avize, 5% Oiry, 10% Oger, 10% Mareuil-sur-Ay, 10% Vertus, 15% Verneuil and the remaining 10% in three other villages). 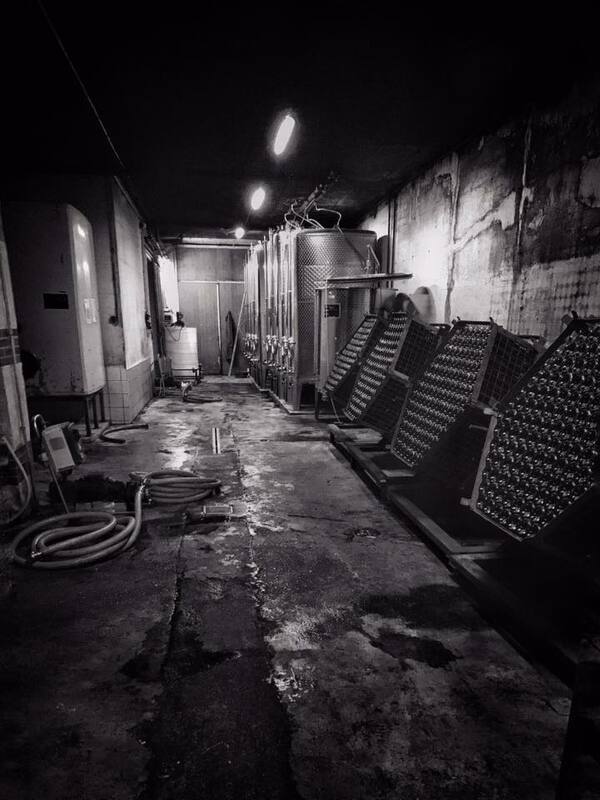 Each lot of grapes is vinified separately and each tank goes through malolactic fermentation. 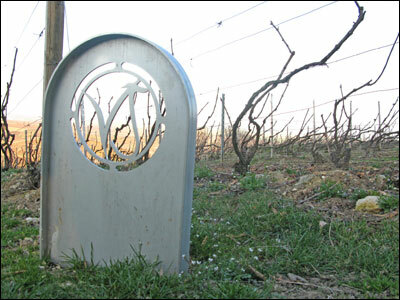 In January, the wines are stabilized. Shortly thereafter, the vins clairs (still wines) are tasted and it is determined which lots will be used for each specific release. All of their production is bottled and sold at the domaine. Composed of 100% Chardonnay, the grand cru release is normally a blend of two vintages. Tasting Notes: It has floral and citrus aromas, a creamy texture with a fleeting note of apricot, and a long, fine, and mineraled finish. Food Match: Great as an aperitif, this champagne also works well at the table with seafood and sushi.